Dr. Martin G. McElya always appreciates feedback from his valued patients. To date, we’re thrilled to have collected 38 reviews with an average rating of 4.82 out of 5 stars. 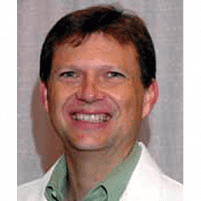 Please read what others are saying about Dr. Martin G. McElya below, and as always, we would love to collect your feedback. Quick. Efficient. Perfect for my work lunch break. Great staff, quick and saw me at my appointment time. The most incredible staff I’ve ever worked with in a doctors office. Very friendly very clean in the atmosphere is very very relaxed. As far as the doctor. He takes time to talk to you and always get to know you. I will not ever go anywhere else but here. I was on my way home from my workplace Steak N Shake Montfort last March 15 and had made it about halfway home to Arapaho and US 75. I was struck by a motor vehicle which left me with a TBI (traumatic brain injury) a fractured pelvis and just kept driving! It was a hit and run accident caused by a distracted apathetic motor vehicle driver. Very helpful staff and if you book an appointment you are in and out quickly. I highly recommend. Dr. and staff were great. Always a nice experiance with neighbourhood medical centre. Much flexible on setting up apppintment and their timings. Staff was extremely friendly and helpful. I would recommend this clinic to anyone. Incredible office staff and the doctor that is wonderful to talk to. I would recommend this to anybody. The staff was friendly and efficient. The Dr was very thorough in explaining his process. Even with an appointment, always wait 20-30 minutes to be seen. Nurse and PA were good. They really care about your physical and mental health and the staff is amazing! This has been my PCP for 6 years and I recommend their services!